Could homeownership grants that encourage employees to move closer to work have a positive impact on commuting patterns? Photo by M.V. Jantzen. However, Fast Company questions whether it would be feasible to extend this program beyond its pilot phase. The $200,000 available from the OP in pieces of $6,000 grants would only be enough for 60 employees. “D.C. would have to spend tens of millions of dollars to truly shake up the demographic and commuting patterns of the city,” the article adds. Apparently, D.C. is not alone in running the pilot program. Baltimore has a similar program that was launched in 1997. As part of the city’s “Smart Growth” initiative, East Baltimore provided Live Near Your Work grants to fully benefited employees of selected employers, the Dome reports. 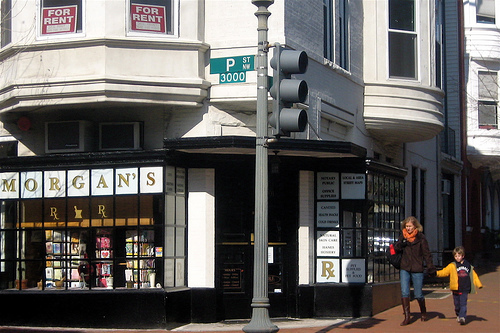 “[The program’s] goal was to reduce sprawl, cut commutes and increase home ownership in designated areas slated for redevelopment.” Through the program, Johns Hopkins University, a selected employer, was able to extend LNYW grants to 600 employees with grants ranging from $2,500 up to $17,000, depending on the neighborhood. Upon receiving RFAs, the OP will select the participating employers based on their ability to administer the pilot program, offer homebuyer education, and provide matching grants for their employees. The deadline for the first round of selections will be June 17, 2011. If qualified employers cannot be selected, a possible second round deadline will be October 7, 2011. The expansion of the program is dependent on the success of the pilot program, and if successful, the program could help reduce traffic and air pollution, spur an urban revitalization, and improve the quality of life of the people who participate, GOOD Transportation explains. Can you be convinced to move closer to work? If interested, you can attend a pre-application question-and-answer session on May 24, 2011 at 2:00 p.m. in the Office of Planning. Tags: homeownership grants, Live Near Your Work, LNYW, Office of Planning, United States, Washington, D.C.